Safety/Quality Approvals: China Dxlong has been producing LED belt buckle, LED dog tag, LED name badge since 2004. Our products have very good quality and best prices. If you are interested in them, contact with us at any time pls. LED dog tag Features: 1) Model: Dxl-k010 2) Size: 7 x 3. 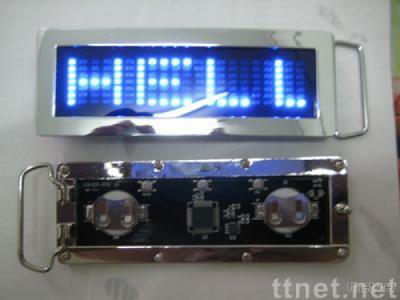 4cm 3) Dots: 7X21 147 LEDS 4) Colors available: Red, blue, white, yellow, yellow-green, jade green, pink. 5) It can store up to 6 messages, Every message can store 255 characters. 6) Adjusts scrolling speed and brightness. 7) power supply: CR2032 button battery. 8) Low price with high quality. 4) Colors available: Red, blue, white, yellow, yellow-green, jade green, pink. 5) It can store up to 6 messages, Every message can store 255 characters. 6) Adjusts scrolling speed and brightness. 7) power supply: CR2032 button battery. 8) Low price with high quality.